One of the biggest concerns for expecting mothers is the anxiety associated with getting that pre-baby body back. These days, largely thanks to social media, women are placing unrealistic expectations on themselves to returning to their pre-baby weight. Although returning to physical activity can be just as beneficial to your emotional wellbeing as it is to your physical wellbeing, it is important to take all the necessary precautions to ensure that you don’t do more harm than good… One very important thing to think about is how to support your breasts. When paired with a sports bra or crop top the Pinkclover Breastband can reduce the upwards bounce of the breast which helps reduce the strain on breast tissue and helps new mums feel secure and supported when working out. Founder, Amy Jaffers says the Breastband has given women of all breast sizes a new lease on life but women with DD+ cup breasts are singing the Breastband’s praises even more. Women who have FF and G cup size breasts have noticed a significant reduction in breast bounce which has led to them increasing the amount they exercise and reducing the need to wear multiple bras when working out. Lactation Consultant and Mid-Wife, Tamika Newman says breast support is very important for new mums, as breasts go through dramatic changes with tissue and ligament growth after having a baby. “It’s important to support the breast tissue during this time to avoid excess strain, which could result in mastitis and blocked milk ducts,” Ms. Newman says. 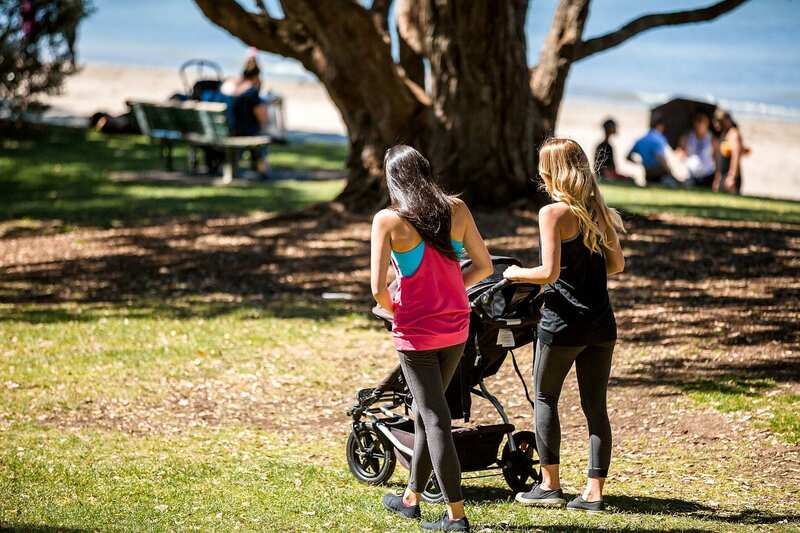 “New mothers shouldn’t rush back into exercise and listen to their body. That said, gentle exercises like walking can do wonders for a new mum and the Breastband is able to give them added security and support the breast tissue,” Ms. Newman says. The Breastband is made from soft, breathable fabric to maximise comfort and prevent chafing… which is another worry for the well-endowed. The team at Pinkclover want women to feel confident and comfortable when exercising and the Breastband provides that security and support. Previous Story: 5 Easy ways to start a workout plan, & stick to it!